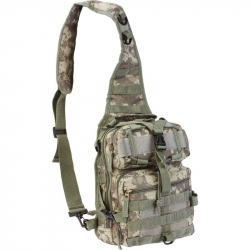 Quality matters when it comes to tactical gear-your life may depend on it. 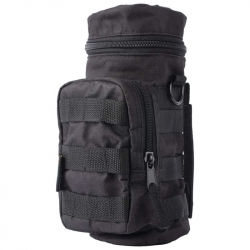 The Extreme Pak(TM) Black Water Bottle Molle Pouch is made for tactical transport and securely fastens to any MOLLE attachment system. 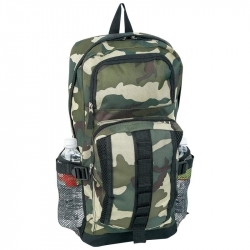 Strong 600D 100% polyester construction features color matched webbing and webbing zipper pulls. Buy more than one, you'll be glad you did when you're forced to face the elements. 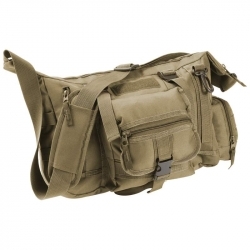 Extreme Pak(TM) Olive Drab Green 15" Tactical Style Messenger Bag features 4 zippered compartments, front flap compartment with belt strap fastener, adjustable reinforced straps, 600d construction, and color matched zippers. Measures 15" x 13-1/2" x 8". 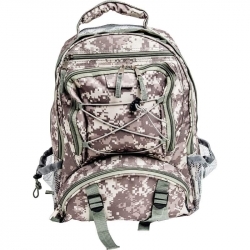 Features stitched webbing zipper pulls, color matched zippers, 2 removable saddlebags, 1 removable tail bag, multiple pockets, zippered closures and adjustable straps for extra security. Measures 19' x 35' x 13'. 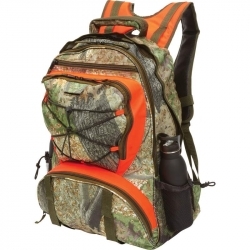 Go hunting with the boys fully equipped for anything with a backpack featuring multiple zippered exterior compartments, see-through mesh interior compartment, padded shoulder straps, adjustable waist strap, stitched webbing, and corded zipper pulls. Measures 12-1/2' x 19-1/2' x 8'. Two bags for the price of one! 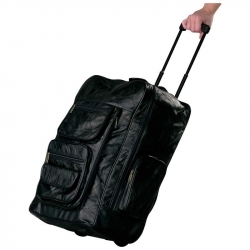 The Embassy(TM) Italian Stone(TM) Design Genuine Leather Super-Deluxe 23" Trolley/Backpack. Multiple storage options with front and side saddlebags and roomy storage. 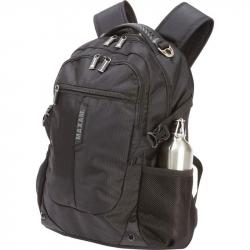 When in use as a backpack, the telescopic handle is hidden behind a zippered pocket. Measures 16" x 23" x 11". 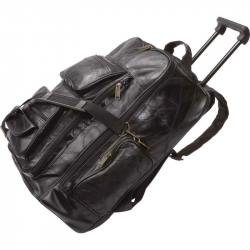 The Embassy(TM) Italian Stone(TM) Design Genuine Leather Trolley/Backpack is a superb bag that covers a lot of ground. Wheels and a telescopic handle allow you to use it as a rolling pull-along cart, or, cover the wheels with the attached flap, adjust the comfortable, oversized shoulder straps and use the bag as a backpack. 2 side zippered saddlebags, three pouches, and pockets for phones, sunglasses, binoculars, papers, keys, and wallets. Tons of storage space! 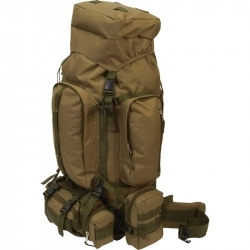 Backpack measures 14-1/2' x 19' x 9'. 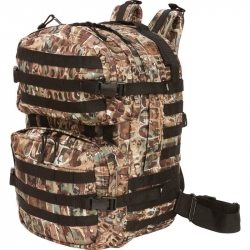 When you need a day bag for outdoor activities, work, or school, the Meyerco(R) 19' Camo Hunting Backpack offers reliable storage and protection for your property. 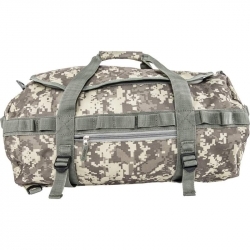 Features weather-resistant camo pattern material, a zippered main compartment, and multiple zippered exterior compartments. 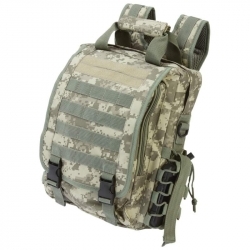 For security, you'll find additional compression straps, accessory strap slots, a hand strap, and adjustable shoulder straps with securing belt buckle. Measures 14' x 19' x 10'. Features multiple zippered compartments, including padded compartment for laptop or tablet; and padded back and shoulder straps. Measures 14' x 20' x 7-1/2'. Heavy duty adventures require heavy duty materials. 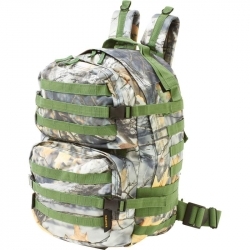 The Extreme Pak(TM) Invisible(R) Pattern Camouflage Water-Resistant, Heavy-Duty, Mountaineer's Backpack excels at every task. A climbing backpack fit for summiting all of your traverses, you'll find that the adjustable straps are just where you need them for comfortable carry. The zippered closure pockets of this bag ensure everything you need is secure, protected, and ready at a moment's notice. Measures 13' x 34' x 7-1/2'. Features multiple zippered compartments, including padded compartment for laptop or tablet; and padded back and shoulder straps. Measures 14' x 19' x 7'. 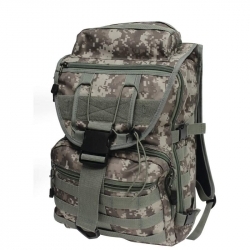 When you need to grab a bag and go, the Extreme Pak(TM) Digital Camo Water-Resistant Heavy-Duty Tactical Backpack is a perfect choice. From outdoor adventure to a daily essential bag for work or school, the multiple zippered pockets hold everything you need. 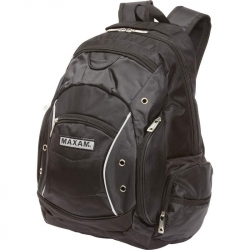 Features stitched webbing zipper pulls, color matched zippers, and adjustable padded shoulder straps. 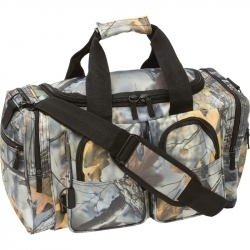 Rugged and durable 600d polyester construction is water-resistant for all-weather use. Measures 13' x 13-3/4' x 4-3/4'. 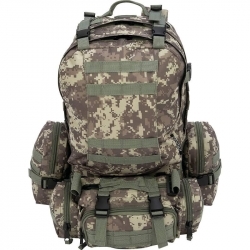 The Extreme Pak(TM) 4pc Digital Camo Backpack contains 4 bags featuring rugged 600d exterior construction: a backpack, 2 removable saddlebags, and 1 removable tail bag. 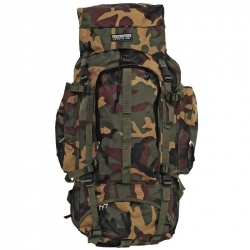 Packs don't get any better than this, use one or use all for any outdoor adventure or sport. Packs feature stitched webbing zipper pulls, front zippered pockets including interior mesh pocket, and heavy-duty buckles. For ease of carry, the bags feature well-designed adjustable shoulder straps, an adjustable chest strap and a waist belt. Measures 17' x 22' x 12'. 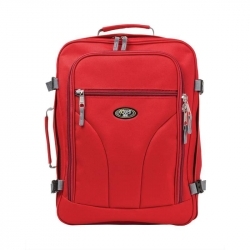 Features weather-resistant material, zippered main compartment; multiple zippered exterior compartments; detachable/adjustable shoulder strap; and hand straps with hook and loop fastener. Measures 18' x 12' x 11'.